Hello, I’m Jim Glover, That Branding Guy, for Once a Day Marketing™. On our radio show That Branding Guy™, we discussed branding and marketing with a newly re-branded cannabis dispensary. Joining us on the show were Jon Peddie and Adam Nelson, owners of Billo cannabis dispensary in Steamboat Springs, Colorado. Jon and Adam’s goal is to set a new standard for the industry by providing the best possible marijuana experience along with outstanding customer service. 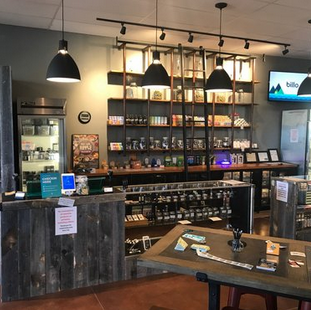 Jon & Adam purchased an existing dispensary and rebranded under the name Billo. They looked at numerous potential names and chose Billo because of it evoking the image of smoke billowing as well as its subtlety and flexibility, especially when used for merchandising. The business was also moved to a more mainstream strip center in town so the brand would be more visible and accessible. One of the differentiators of Billo is their focus on the needs of the customer and ensuring they are comfortable. Billo caters to both recreational and medicinal users and are sensitive to some customers need for discretion, offering online ordering and discreet pick-up. Billo is about fun, joy and happiness. Billo’s strategy is to focus on customers who are first time users of cannabis. The Billo location is meant to be approachable and friendly and reflect the updated mindset of cannabis users. The store is modern, clean and bright and geared to providing a positive experience. To win the hearts of the locals for the new brand Adam has been developing community relationships through community outreach and sponsorships. Following that effort, they began advertising in guides and other print media. Now that the Billo story and graphic elements are solidified they are making a concerted effort on social media with messages targeted by platform to various age groups.